This week’s announcement that a preview of the new Office 2016 for Mac is now officially available was a little surprise to me. I knew it was coming, but didn’t expect it to be available already. Ok, it is “just” a preview and may be you shouldn’t use it for your business, but on the other hand why not give it a try. Recent previews of Microsoft solutions are rather stable. So, I tried, but the installation included some unpleasant surprises. Office 2011 for Mac used to be a lot better than the version for the Windows users several years ago. The launch of Office 2013 meant a huge upgrade for the Windows user. One of the biggest advantages of Office 2013 is the integration with among others SharePoint and OneDrive. Working with SharePoint has been a rather painful job on a Mac. Office 2016 will improve everything for the Mac users and therefore many of them seemed to request for the free download since Microsoft announced its availability on their blog. Microsoft’s servers were rather slow or not responding. They were clearly not prepared for such a high demand. In case you did not yet upgrade your OS X to Yosemite, this will be the first thing to do. I kept postponing this, because I was too afraid it would influence my Windows 8 Bootcamp setup. After securing my most essential files I decided just to do it. The upgrade went smooth. In case you need support in upgrading you will find the instructions here. Once I had the Office 2016 installation file available the process went rather smooth at first. Only the Outlook setup took long. I decided not to import my Outlook 2011 settings, because I hardly used it anymore. I decided to connect Outlook to my companies Office 365 account. And then it crashed ….. Rebooting, reinstalling, etc. just didn’t help. It didn’t want to run anymore. May be connecting to my Office 365 account was not to be the best idea. Outlook kept requesting for activation. Online I didn’t manage to find a satisfactory solution. I decided to uninstall again, but this time Outlook only. By the end of last year Outlook for Mac already has been released and you can download it from Office 365 and that’s what I did. I don’t know whether this is a different version, but it didn’t ask for activation. Just to be sure I performed the above described preferences cleaning process as well. My mail and calendar data started synchronizing! Full of regained enthusiasm, the whole process started with downloading efforts a day earlier, I prepared the first messages. Quite important ones. Murphy stayed with me. Mails were not leaving my outbox. At first I even thought they were gone, but fortunately the backup plan worked. Yes, I agree I should have send a text message first. The green dots next to the accounts on the account settings page had convinced me everything worked fine. Trying several online mentioned solutions didn’t help me much. The mail remained in the outbox. Most probably I was facing an identity issue. I decided to create my account once again, without deleting the initial one. I was concerned that removing my account might remove the draft messages as well. This meant I duplicated my account. And magically this account immediately sent the first test message. Curiously I opened one of my still pending e-mails and assigned the new mailbox as the sender address. Yes, all sent. Then I just removed the initially installed account. After all these installation issues I could have given up, but I still wanted to experience the new office. When you are used to Office 2013 you will find some similarities, but it feels very different as well due to the fact it has been adjusted to OSX and especially Yosemite. Personally I prefer the Office 2013 interface. The clear file menu of 2013 is really missing. For example to share a document you will have to find the sharing icon in the top right corner. In my case at first Word didn’t manage to send a file as attachment. After a reboot it started working, but preparing the e-mail took long. And that is a general issue I have been facing while testing. The Office applications respond slow. May be this is due to synchronization of mailboxes and indexing, the future will tell. 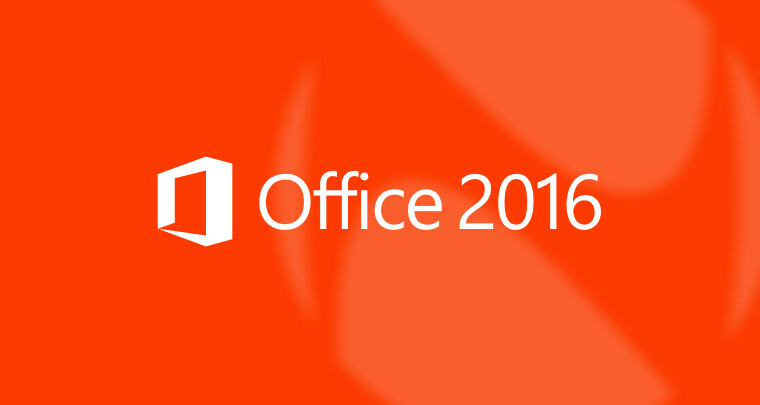 The good news is that Office 2016 is a big step forward. Integration with external storage works like a charm and that can cause I will return from my Windows 8 Bootcamp to Yosemite with Office 2016! Sustainability a key factor for success in business?